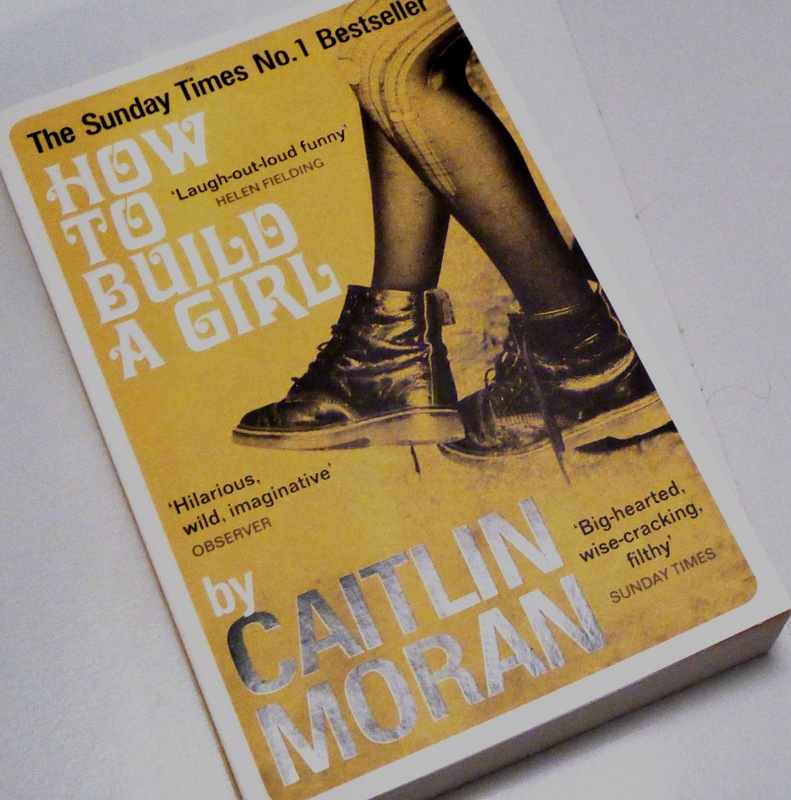 A friend of my boyfriend’s, who I talk to about books regularly, recently recommended How to Build a Girl by Caitlin Moran to me. I’d never actually even heard of Caitlin Moran, which I’m slightly embarrassed about considering how she epitomises everything I believe in, but decided to give him the benefit of the doubt as normally our taste in books is pretty similar. I asked my boyfriend to buy it for me for Christmas, which he did, and I began it on the train back to my parents’ house the following day. How to Build a Girl is the story of Johanna Morrigan, brought up in Wolverhampton in the 90s. She discovers a love of music and a talent for reviewing music like no other. She’s chubby, out of place and experiments with her style in order to “build” herself into the perfect girl- or more specifically, her image of the perfect girl. With her new image in tow, as Dolly Wilde she takes a position as a music journalist for an established magazine, befriends rock stars, drinks odious amounts of alcohol and experiments sexually, all the while trying to help her poverty-stricken parents put meals on the table. The first (and probably the most important) observation about How to Build A Girl that I feel is necessary to make is that it’s bloody hilarious, almost without intending on being so. Moran has a style so beautifully intelligent and comical that that alone makes this book unputdownable. How much of the book is based on real life events I do not know, but it does feel like it has been based on her own experiences growing up – or at least she has taken from these experiences and fictionalised the rest of them to write a bloody good book. I must admit a few of the scenes at the beginning of the book, particularly the references to masterbating whilst her younger brother was in the room made me feel a little bit uncomfortable and I was a bit unsure as to why my friend- a guy- was recommending such a thing, but, not one to give up on a book, I persevered and I’m really glad I did. I laughed until I couldn’t laugh any longer and even felt that the book was heartfelt in some places, with a message at the end which completely changed my perspective of Johanna. I found Johanna’s character incredibly irritating for the most part, but I think that was definitely the point- I thought her obsession with the rockstarJohn Kite was ridiculous but at the same time representative of females going through their teenage years. I cheered for her when she dumped her good for nothing “boyfriend” and The writing is a tad crude, possibly too crude for younger readers, so I’m a little bit sceptical at it being considered as a YA book but that’s just my opinion. All in all, I’m very happy to have read this book and look forward to reading more works by Moran. I’ve recommended this to a few of my friends already and added “How to be a Woman” to my to-be-read pile.